I love the dress in the second picture! Presentations are scary! I always hated doing them. u always have the most amazing bags! I love both your printed dresses, and you definitely have a bag collection to make me envious! I love the polka-dot and skulls combo! Lovely those look... the dress of the 2nd look, is amazing!! Gorgeous outfits! I love French Connection. And your handbags are beautiful. I love both of these dresses, you look so pretty! Mica, I love that brown Chloe bag. So pretty. I love camel & black. Black & white is always fabulous. Both outfits are pretty. Glad you did well with your presentations. I still get jittery when I have to speak in front of others, but it soon goes away. You have the prettiest bracelets. I think I saw the one you were talking about. Both looks are great on you, I really like that Chloe bag. I love how you styled both these printed dresses. Seems like you have a uniform going on...chic printed dress, scarf, killer jacket and heels. I can't wait until the weather over here allows for more layering. 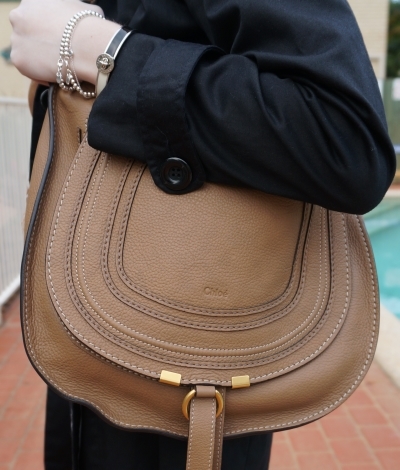 Ohh...my dream bag - the Chloe. I told myself if I don't buy any purses next year, I will reward myself with Chloe of Christmas. I agree presentations are not fun. I recently had a huge presentation and the dry runs were horrible. Luckily, it turned out perfect during the actual presentation. Glad your presentation went well! I like that we are all learning together at work, it's more fun when there is no pressure. Love love love the 1st bag!! I am wondering why I have not bought that Marcie bag already? I really LOVE it!! wow, I love that pink skull scarf so much! Fabulous!! Gosh seriously loving the first French Connection dress paired with that trench. Actually that whole outfit is perfection! such a wonderful outfit :) I absolutely love that bag! 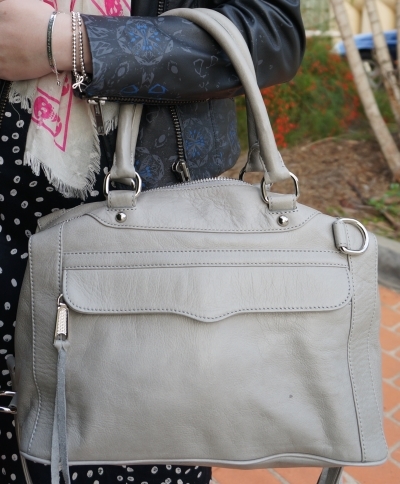 Gosh I like that Chloe bag !